The annual Berryville Christmas Parade will take place Saturday, December 1 at 6 pm. The theme for this year’s parade is "Christmas Around the World"
Put on your Thinking Cap and put your thoughts to work to make you some money! Preregistration is not required, but appreciated. Applications will be available to online to download and submit to the Berryville Parks Department at a later date. For more information, contact Deneen at 870-423-3139, Monday-Friday, 8a-5p. 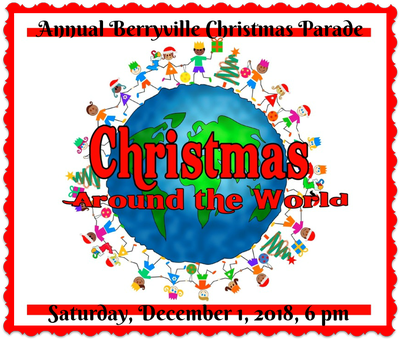 Contact the Berryville Community Center for more information: (870) 423-3139. No entry fee required. Online forms to download and submit your entry will be made available soon.